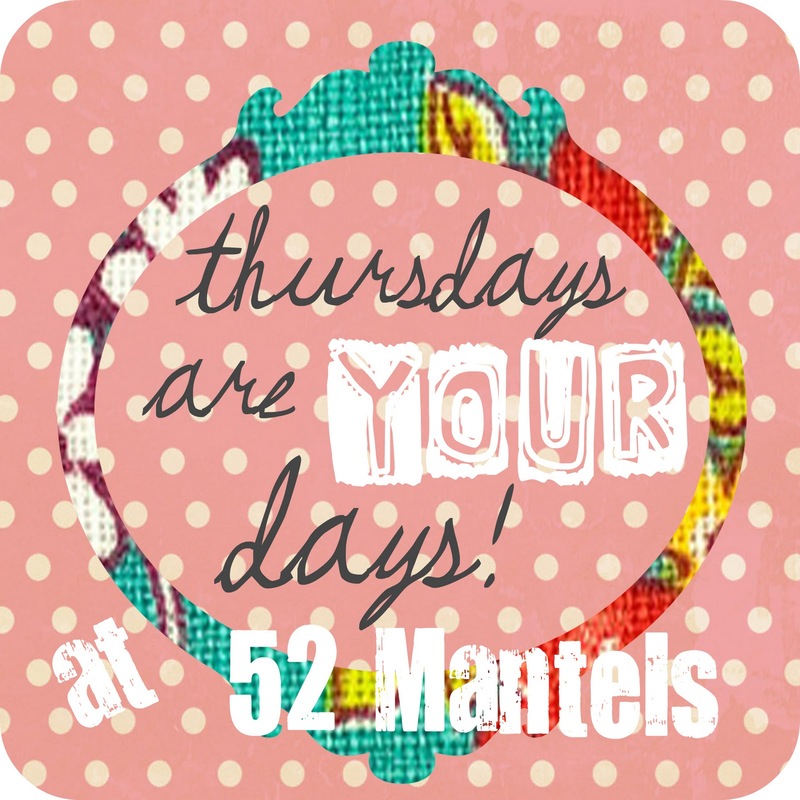 52 Mantels: Thursdays Are YOUR Days + a $25 Amazon Gift-card Giveaway! Thursdays Are YOUR Days + a $25 Amazon Gift-card Giveaway! Before we get this party started, I want to introduce you to a FUN daily deals website, devoted to DIY supplies, called BlueMing Deals. It's a treat every morning to see what daily deal they'll be offering! A DIY-er's dream website, for sure. They offer anything from craft supplies to party supplies to home decor. At amazing prices. Sounds great, doesn't it? Here's the deal, they only offer 1 item a day and the quantities are limited. The deal goes up at 9am PST, Monday through Friday....and when they're gone, you have to wait until the next morning to discover the new deal (exciting, huh?!). And, they're pretty awesome in that they always charge shipping at the carrier rates, meaning if shipping turns out to be less less than the paid price, they credit your account for the difference. Love that kind of commitment! Want the insider scoop? Follow BlueMing Deals on Pinterest! They are awesome pinners. And, you'll definitely want to follow them on Facebook so you can always be in the know! Plus, you can sign up to get their newsletter, making sure you never miss a deal! BlueMing Deals is so awesome, they're offering ONE lucky reader a $25 giftcard to Amazon.com. How great is that?? On Friday I shared this free printable, just in time for Mother's Day! 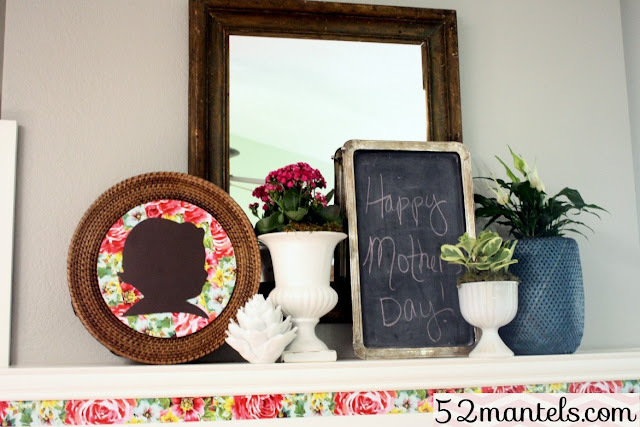 On Mantel Monday, I dressed the mantel for Mother's Day and revealed the theme for the Great Mantel Challenge. Go check it out! PS. Want to participate in the Great Mantel Challenge? Email me and let me know! 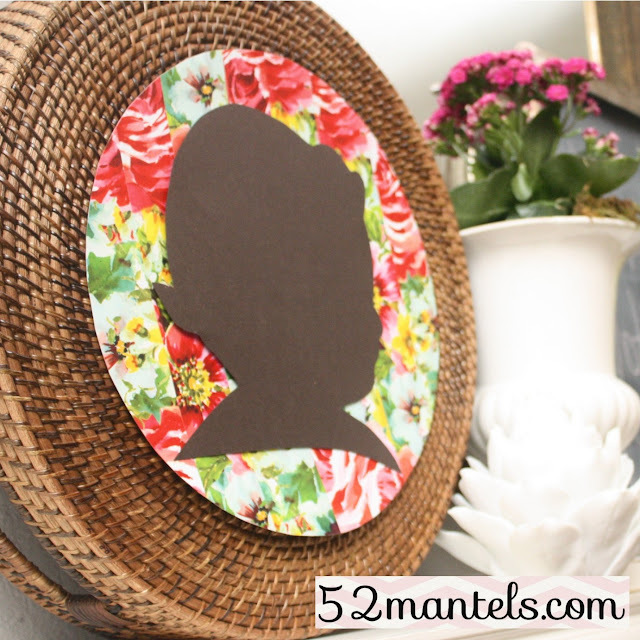 And, yesterday I shared the tutorial for the sweet silhouette project on my mantel! Just in time for...yep, you guessed it. Mother's Day! See a theme here? Thanks for hosting every week Emily! Have a great night! happy to be joining you this week! Oh how I love that cute little silhouette! Thanks for another fun party! Thanks for hosting Emily! Have a happy Mother's Day! Thanks, Emily! I always meet some nice people at your party. Hi sweet friend :) Thanks for hosting! Hope you're having a great week. Thank you so much for hosting! I linked up two great Mother's Day projects this week. I hope you have a wonderful day! Yay -- a giveaway and a link-up! Thanks for hosting, Emily! 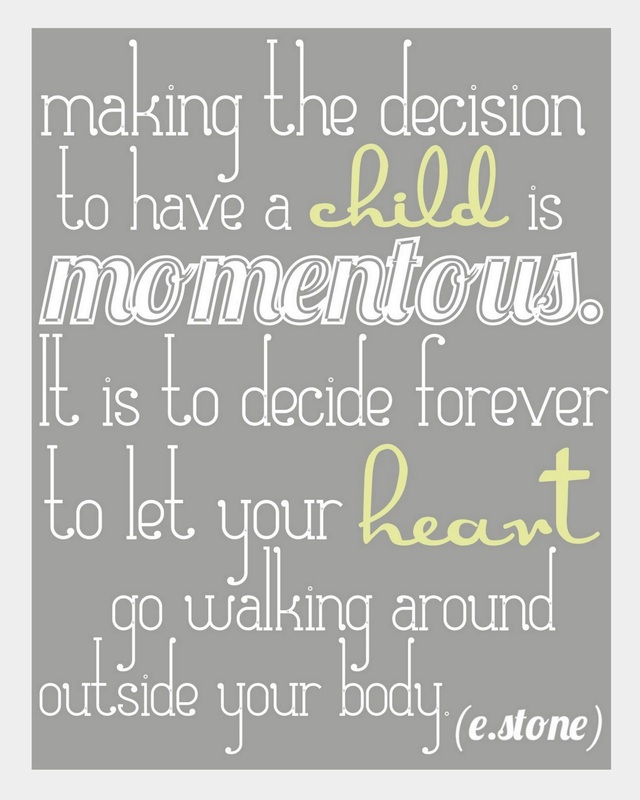 Hope you have a lovely Mother's Day! Love your giveaway and the features this week! Thanks for being a great host.